Getting your RV or camping trailer ready for vacation? Let us help you find the trailer roof rack or bumper cargo rack you need. 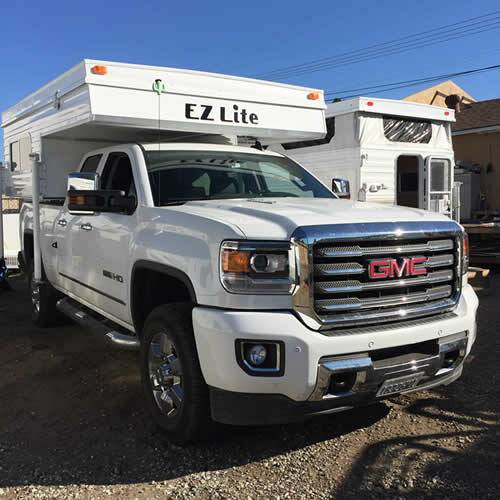 These high quality made in the USA roof and bicycle racks by EZ Lite are the very same roof racks we use on our EZ Lite truck campers. No matter if you have an RV, travel trailer, tent trailer, toy hauler, or truck camper, we have the roof rack for you! We use high quality cold rolled steel and a center support leg for extra carrying capacity! These roof racks and bicycle racks will hold as much as your roof is rated for. All of our corner mounted roof racks are screwed in from the side which greatly minimizes water intrusion, and increases strength. We also use haevy duty D-ring tie downs to hold whatever you need to. No holes in the top of your roof. All of our racks are finished in a rugged bedliner material for extra durability to insure they will last you for years to come! Proudly built in the USA, we use only the fineest quality materials! Check out our traler hitch cargo racks as well. 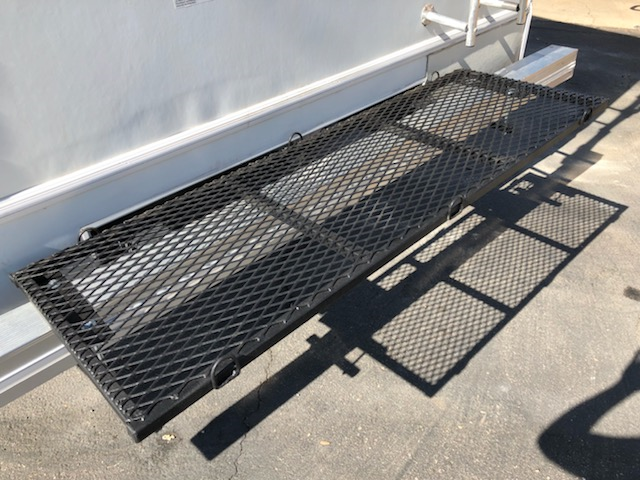 Fully Ajustable from 83" - 106"
Made from American cold rolled steel and finished in a rugged bedliner finish. Made right here in San Diego, CA USA! Easily clamps to your 4" steel RV or trailer bumper. Custom sizes available, please inquire. Made from American cold rolled steel and finished in a rugged bedliner finish. Made right here in San Diego, CA USA! 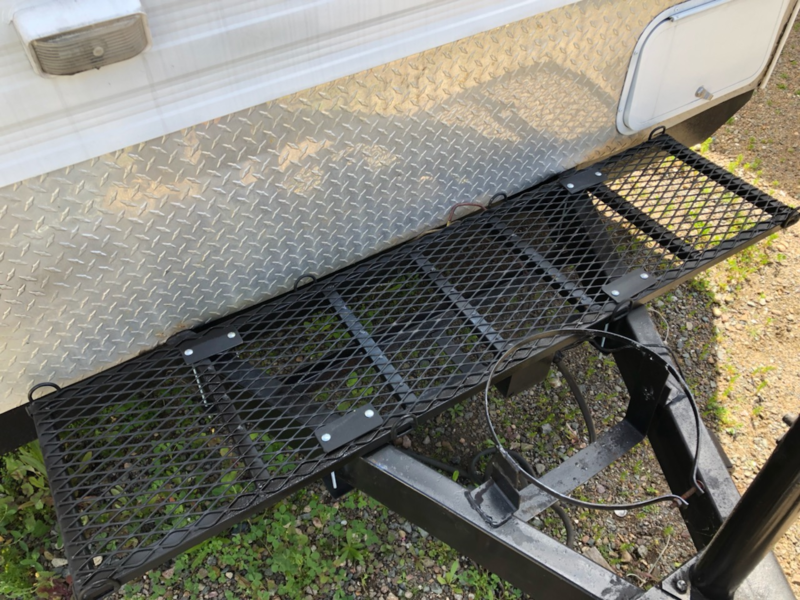 Easily clamps to your steel trailer hitch. Custom sizes available, please inquire.